Iowans are asking why Republicans have ignored reality by pursuing a futile effort to overturn Roe v. Wade. Iowans wonder why Republicans are fanatically focused on the earliest points of life, but refusing to listen to the needs of Iowa women? The Republicans’ manic obsession on passing an unconstitutional fetal heartbeat bill exposes their irrational agenda. 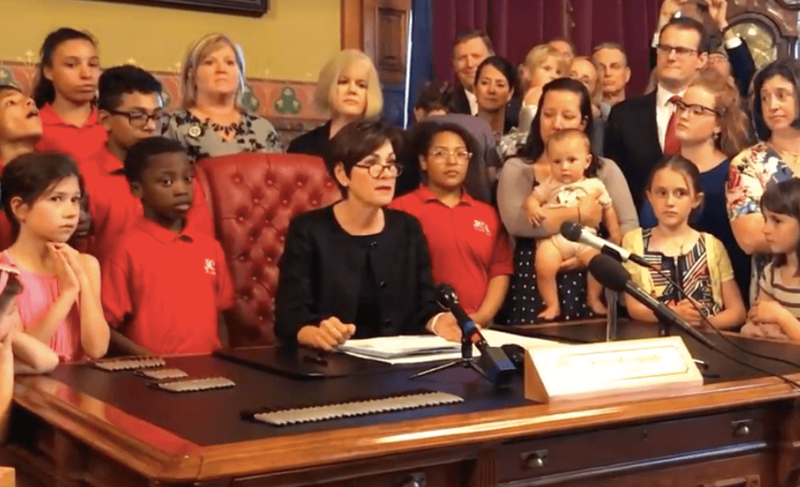 They are committing Iowa taxpayers to a very long and expensive battle on a fool’s errand to overturn 45 years of nationally settled law of Roe v. Wade. The Iowa Republicans’ reckless and excessive vindictiveness toward women’s reproductive rights will likely reverberate across the nation. They have ignited a new firestorm of partisan warfare over the rights of women and their doctors to make their reproductive choices. They have placed Iowans at the center of an unnecessary and costly legal storm simply to satisfy their most extremist supporters. They are endangering the training of Iowa OB-GYN doctors just as Iowa is attempting to attract doctors to Iowa. Iowans are generally pretty moderate in their personal views. The “Iowa nice” label really is accurate. Iowans don’t go in search of fights, particularly fights that are un-winnable or are seen as outside the norms of accepted law. The GOP bill clearly violates long-standing legal precedent of the 1973 Roe v. Wade decision that declared women to have a constitutional right to make their own reproductive decisions prior to viability. Iowa Republicans aren’t only challenging settled law, they are ignoring similar lawsuits that other states have tried and failed. The U.S. Supreme Court has rejected requests to hear challenges to a fetal heartbeat law in North Dakota and a 12-week abortion ban in Arkansas. These Supreme Court rulings left the law intact and blocked their attempts to overturn women’s reproductive rights. Republicans are simply ignoring legal reality by pushing their fetal heartbeat restrictions. They’re defending their futile crusade by suggesting the U. S. Supreme Court may change with new appointees. While that may be true, finding Supreme Court appointees that would be willing to overturn 45 years of settled law is far from certain. Assuming the U. S. Supreme Court were to overturn Roe v. Wade, opponents would likely sue in Iowa state courts. Iowa Planned Parenthood has already vowed to see Republicans in court. Iowa Republicans have passed their extremist anti-women’s agenda but it’s far from certain they have changed anything of substance. What they have proven is their total disregard for Iowa women’s rights. Their legislation betrays the Iowa nice tradition with their ugly legislation. Their bill is an embarrassment to Iowa’s reputation as moderate, civil and intelligent decision makers. Iowa will be seen as another Republican far-right absolutist backwater. NEXT POST Next post: Trump Breaks Iran Promise; Will The World Trust Us Again? And so, we have a state government that would make a tin-pot dictator salivate. Meanwhile, in Backwater, Iowa, we are headed back to the halcyon days of the 1600’s. Birthers are no more responsible citizens than willy-nilly abortionists ! Both are pimple’s on the rear end of society when it comes to it’s procreation process . We obviously already have way more one issue idiots then society deserves . Sometimes the only thing that’s worth hopping for is a plague !!! !